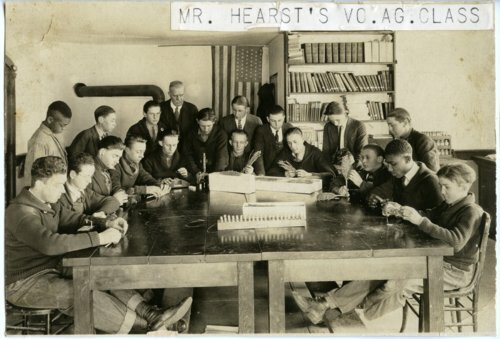 Photograph showing students of Mr. Hearst's Vocational Agriculture class at Alma High School. The students appear to be inspecting grain with a microscope. A wood or coal stove is seen in the background.